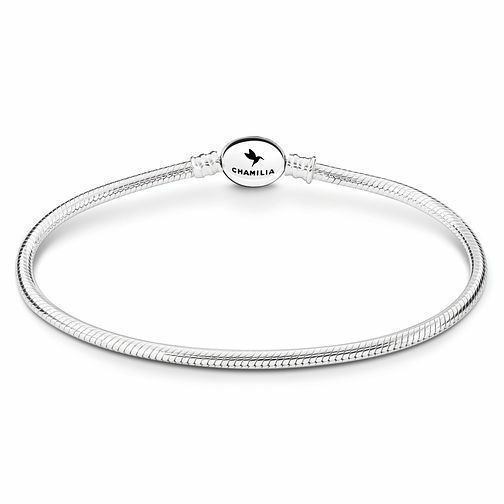 Crafted in sterling silver with a chic oval snap fastener with hummingbird motif, this elegant 6.7 inch bracelet is the perfect way to start your collection. Discover all the ways to express yourself with one of a kind jewellery that reflects your life and experience. Inspired by your personal sense of style, Chamilia jewellery is as unique as you are. Chamilia Oval Snap Bracelet 6.7" is rated 5.0 out of 5 by 2. Rated 5 out of 5 by Anonymous from This bracelet is lovely This is a Xmas present for my granddaughter.she'll love it I've already got one myself and so has her mum.